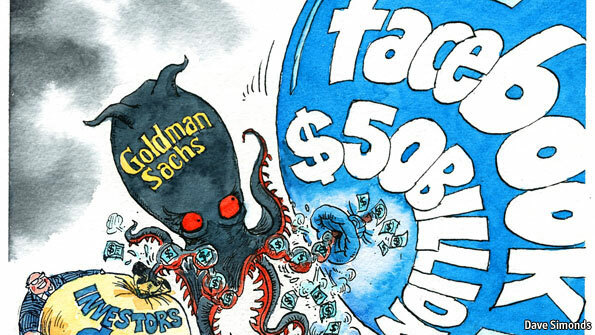 One more reason to be careful with FB: The vampire squid is now involved and it will demand its dues, and this will be your data, sliced and diced, in depth, the entire social graph gold mine. It's not the just face of humanity the Squid is wrapped around, it's** your face as well. ** And how cool is it to be a sucker for the Squid's next business model after **all its other scams started failing? ** Of course all risk is borne by the taxpayer, all profits will be a feast for the squid.